Travel by seaplane charter or ferry boat for a day filled with snorkeling, camping and sightseeing! The fastest and most exiting way to get to the Dry Tortugas National Park. 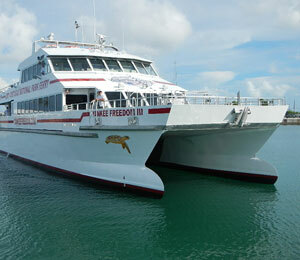 The Yankee Freedom provides daily ferry service from Key West, Florida to the Dry Tortugas National Park. Part of the majestic bird watching trail, the Dry Tortugas offers some of the best birding with over 299 species. 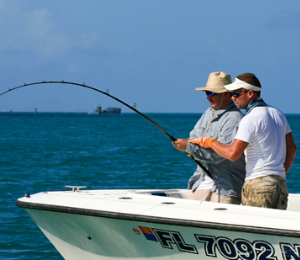 Experience fishing around one of the most remote National Parks in the US, The Dry Tortugas. Heading some 68 miles west of Key West to areas surrounding the park for a variety of Snapper, Grouper, Jacks, and even Wahoo, Tuna, Amberjack, Pompano, and King Fish to name a few of the species regularly caught surrounding the many wrecks and structure found below the surface of these pristine Gulf Waters. 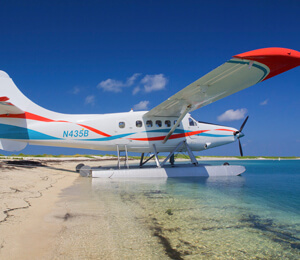 Experience the most unique way of traveling to the Dry Tortugas aboard the Dry Tortugas and Fort Jefferson seaplanes! Undoubtedly the most exciting way to get out to The Dry Tortugas, traveling by seaplane is also the fastest way to get there and gives you the most time on the island. Enjoy the natural beauty of this top destination with your own personal seaplane charter. The Dry Tortugas offers a variety of exciting activities and amazing scenery while providing a sense of history. Located on a remote island off the southernmost city in the United States, The Dry Tortugas is guaranteed to offer you a unique experience and plenty of stories to take back home. Let us plan your trip and make your new adventure as comfortable as possible. Almost 70 miles (112.9 km) west of Key West lay a cluster of seven islands, composed of coral reefs and sand, called the Dry Tortugas. Along with the surrounding shoals and waters, they make up Dry Tortugas National Park. The area is known for its famous bird and marine life and its legends of pirates and sunken gold. Fort Jefferson, one of the largest coastal forts every built, is a central feature. There are two ways of arriving in style to this historic site, and numerous ways to enjoy the Dry Tortugas National Park. Since the Dry Tortugas National Park is so far off the coast of Key West, some visitors take a seaplane to save a little time for other activities on their Key West vacation. This flight takes less than 45 minutes, and visitors can choose between a half-day tour or a full day. 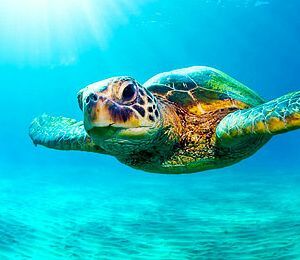 This flight gives the most unique views by flying at a low altitude over the shallow flats of the Keys, and visitors get the chance to see marine wildlife such as sea turtles, dolphins and sharks from above. The tour guides will provide guests with round-trip transportation, a 40-minute tour of Fort Jefferson, complimentary soft drinks, and snorkeling gear. Need help booking your tour? Our professional and local staff is here to help. Contact one of our local representatives by calling (866) 575-5068 or click the live chat button to right.